I only started packing away our Christmas decor today. I'm a little late, I know, but I wanted to hold on to the holidays a little longer. To my dismay, our housekeeper went ahead and shoved the tree in its box earlier this week, without my go signal. How depressing. In my head, when we take down the tree and the baubles, it was going to be a festive event, just like how we put the tree up last month. That probably sounds a little silly. But that's one of the traditions we were supposed to do as a family. Oh well. We'll do that next year. But what upset me the most was how all the ornaments were jumbled together in one paper bag. Even the delicate wire thingies that could easily get deformed. So today, I took out everything and properly stored them away. Here's how I did it. 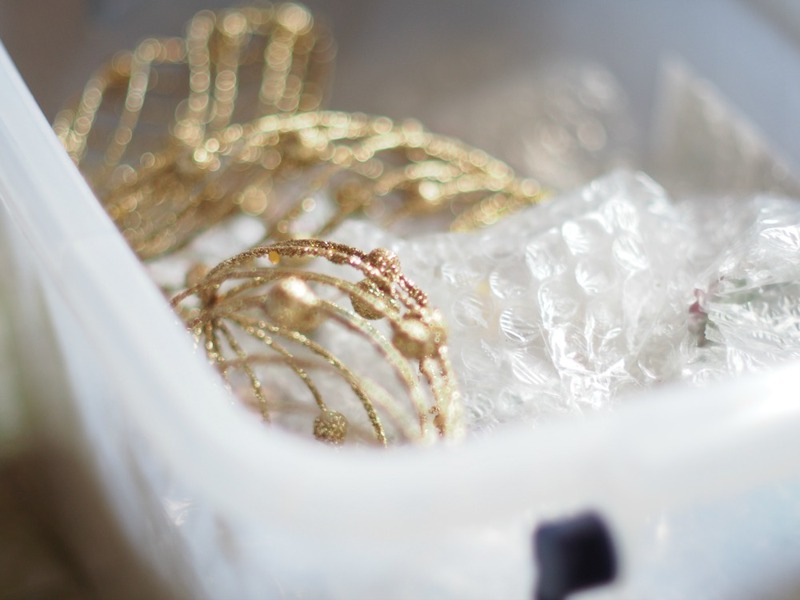 Extend the life of your precious holiday decor by keeping them properly organized. Shoving them altogether in one paper bag may seem like the easy, space-saving solution, but here are better ways to ensure you get to enjoy them for many Christmases to come. 1. Designate a sturdy storage box for your decor. Paper or garbage bags can offer protection from dust, but they can easily get squished in storage. I use clear plastic bins which we bought on sale from the department store, Php99 each. 2. Wrap your ornaments individually in bubble wrap. I saved the ones mine originally came in. 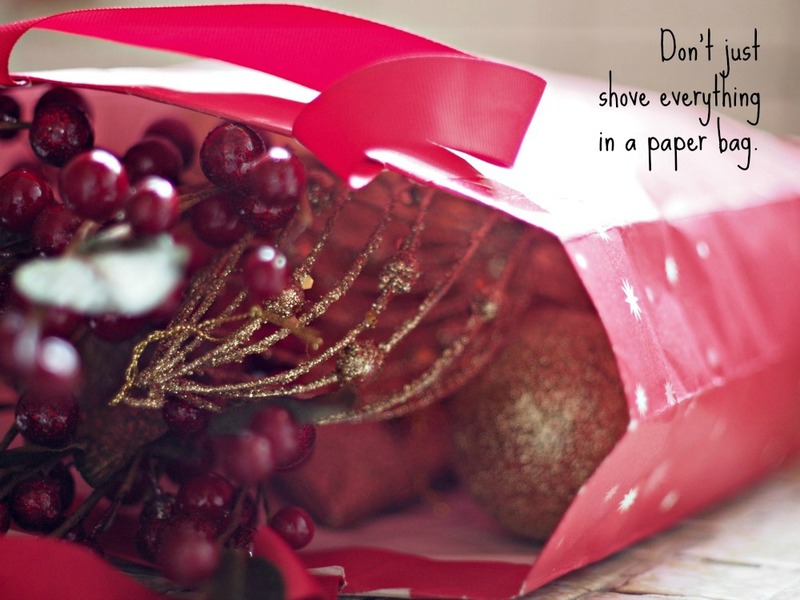 If you forgot to keep yours, reuse the gift wrapping paper from the presents you received. 3. Wind ribbon on a spool to keep them wrinkle-free - don't fold them. 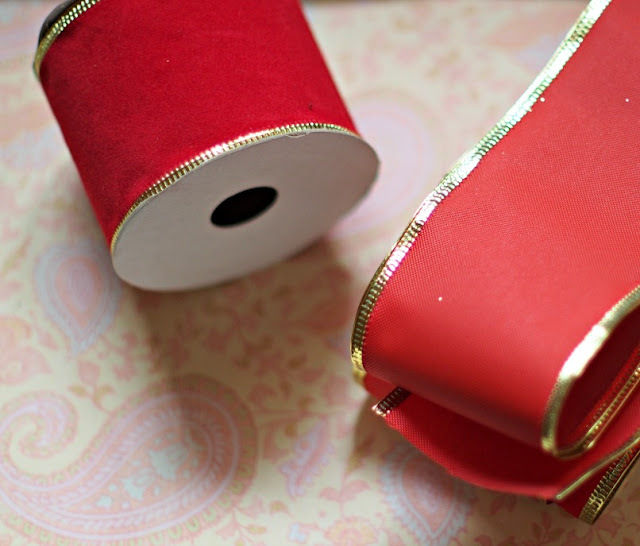 I kept the spools my ribbons came in, but if you tossed yours already, you can use a tissue paper roll. 4. 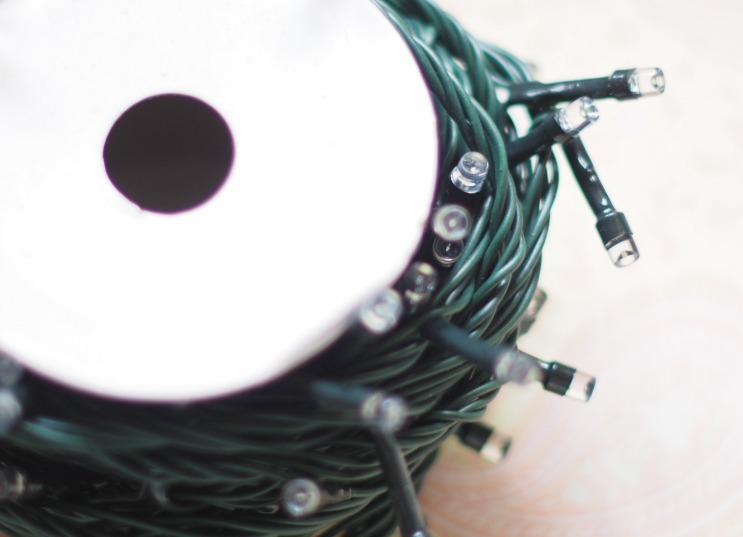 Keep Christmas lights from getting tangled by doing the same thing you did with the ribbons. Wind the string of lights around a spool, tissue paper roll, or a Coke can. 5. Cushion delicate pieces in bubble wrap or crumpled, old gift wrappers. 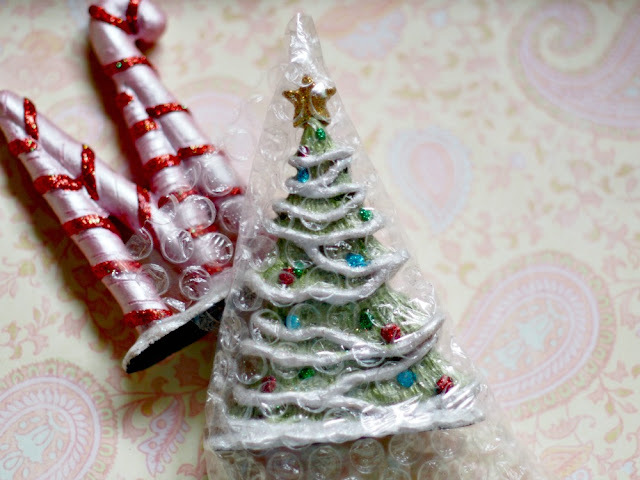 Here, I stacked all bubble-wrapped ornaments in a plastic bin, and nestled the wire drops on top. Don't forget to label your boxes so you don't forget what's inside!